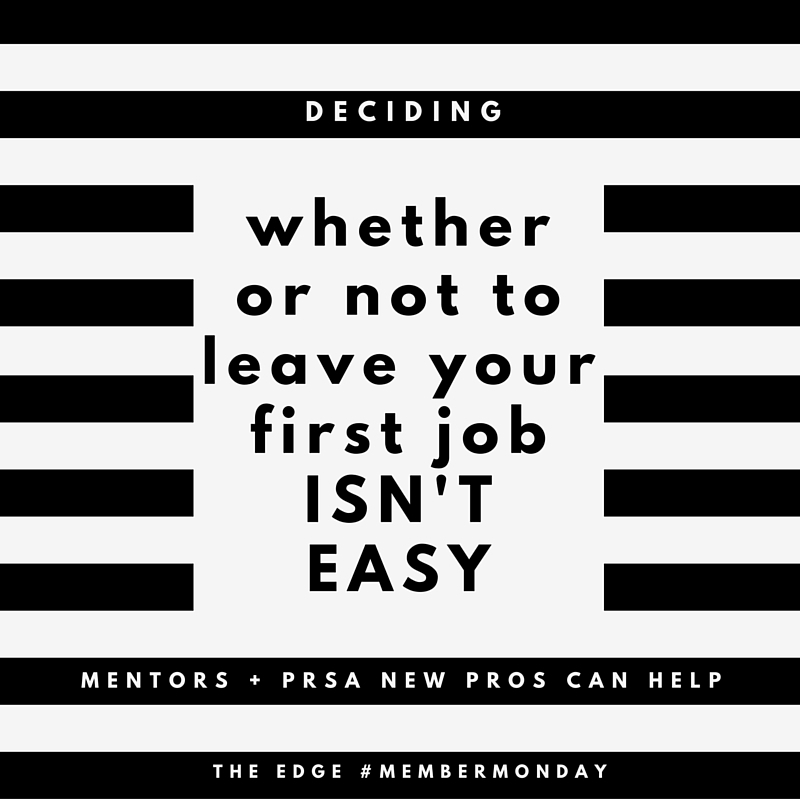 Juggling your many responsibilities as a new PR pro probably leaves you wanting to curl up on the couch with your Seamless and Netflix to recharge before you face another day. Set that remote down though, because research has found that engaging in a hobby is a much better way to decompress and re-energize yourself. According to a 2013 study by Concordia University, people who have hobbies are generally healthier and have a lower risk of depression and dementia as they age. Similar research by a team at San Francisco State University noted that professionals who engage in hobbies, particularly creative activities, are better able to conceive creative solutions for problems in the office. Seems like hobbies are all-around good for you, but what can they do to improve your day-to-day life as a new pro? 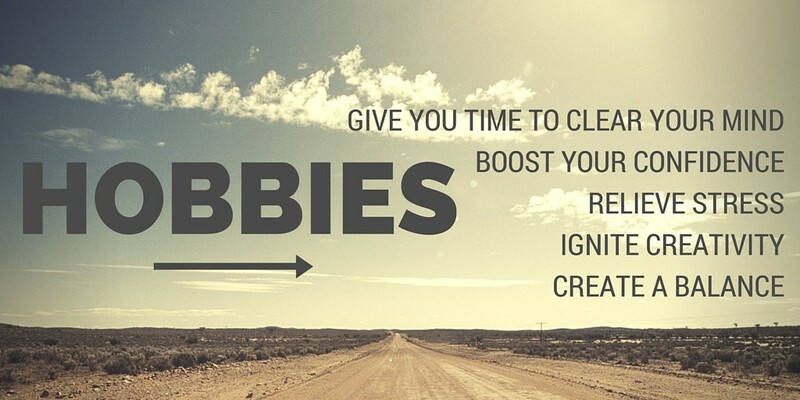 Hobbies give you time to clear your mind. Focusing on a task or project that requires your full attention gives you the opportunity to disconnect from the world around you. The more difficult your hobby, the better. Concentrating on one task for an extended period of time allows your brain to reboot. Just like shutting off your computer every once in awhile is good for it, giving your brain a chance to restart can bring you back refreshed and with a new perspective. Think about the last time you were really excited about something you accomplished. That rush of adrenaline, the joy of completing something you’ve been working towards, the pride you felt knowing your hard work had paid off – it felt good right? Maybe like you were on top of the world? Mastering a hobby or a skill can have the same confidence-boosting effects. Whether you’re learning to knit, working on your golf game, cooking your way through Chrissy Teigan’s Cravings or learning to code, conquering your own mountains can make you more confident when approaching other obstacles. Zoning out a bit and doing something out of the ordinary can get your creative juices flowing. Spend a little time using your brain in different ways and you’ll start to find new ways to connect the dots of your everyday life. Creativity is just like muscle or math, if you don’t use it, you lose it. Everything is good in moderation. Work, sweets and Netflix are just a few of the things that should be balanced with other things. Every hour of every day shouldn’t be spent on work, work, work. Making time for things you’re interested in is a way of giving yourself a break that you shouldn’t feel bad about. Hobbies aren’t wasting time or frivolous; they’re life-enriching ways to explore new interests and learn new things without feeling like you need to dedicate your life to them. Balancing work and play makes doing things you’re not-so-excited for not-so-bad. As a 40-something with no career direction and an imminent layoff, I was at a crossroads in life. A friend recommended a life coach where I discovered an important aspect of my personality. The personal motivator for my feeling happy and successful was a need to elicit reactions from people. It was not about needing positive reinforcement or pats on the back from bosses, but simply having people react to something I wrote, designed, organized, or created. 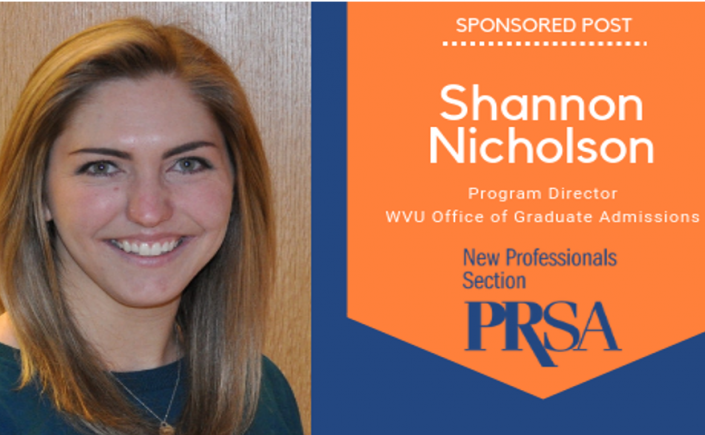 Unfortunately, acting was not an option, so I chose the closest field…public relations. Twenty years in higher education presented opportunities to dabble in parts of PR. Plan an event here, make a presentation there, learn how to update a website, establish a social media presence, craft a new message to alumni. Rejection reasons for not getting PR jobs was due to not possessing the “right” writing skills or a degree in the field. Job offers actually received were entry-level and half the salary. There were moments of feeling I made the jump to this career too late in life. Possessing the skills but not the job titles appeared to be holding me back and prohibiting any chance for becoming a PR professional. Not having aspirations of staying unemployed for 26 weeks led to applying for and getting a position with a non-profit organization via LinkedIn. The job title is far from glamorous (Executive Assistant); however, the salary is competitive and matches the duties. Job tasks land in all facets of social media, branding, media relations, strategic planning, and marketing of the organization. 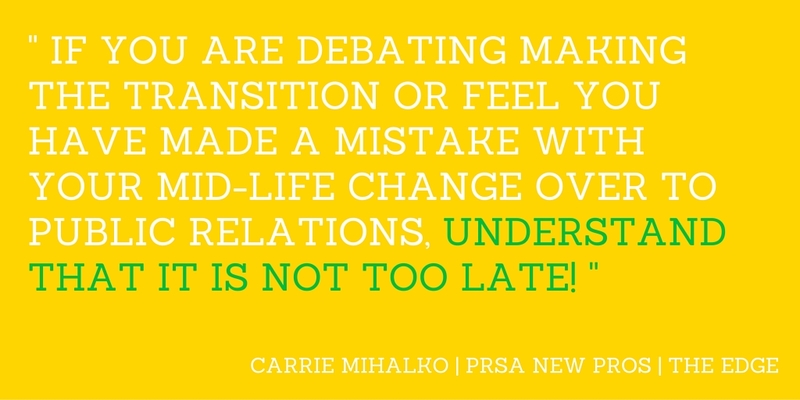 If you are debating making the transition or feel you have made a mistake with your mid-life change over to public relations, understand that it is not too late! Do not limit yourself to looking at corporate positions or competitive firms. As a more seasoned employee, you are what non-profits and small businesses are looking for. They appreciate broad experience and need individuals who are ready to hit the ground running. Never obsess about what happened in the last job. Those who are over the age of 30 remember the parental lectures of staying loyal to a company. It is not the norm any longer. Take the best parts of your previous positions and move along. Self-Assess. Do the life/career coach thing. Even if you do not want to work with a professional, ask a friend. Take a stab at the StrengthsFinder 2.0 to look at your experience and get some direction. Break up your job search: People, Skills, Opportunities. Jump on that LinkedIn page and schedule some Starbucks time. Register for a class on Coursera. Let Monster do the searching for you with job alerts. Never stop looking. Always look at what else is out there, how you can improve your skills, and who can benefit in the long term. I am always scanning the job sites for the newest titles/duties to develop ideas for skills I may need or want down the road. Do not lose sight of who you are and the years you have under your belt. Those articles for the company newsletter, Christmas parties planned, and posts on Twitter can transition nicely into a successful public relations career. Figuring she will never have her dream job of writing jokes for Jimmy Fallon, Carrie Mihalko decided to pursue a new career in Public Relations. 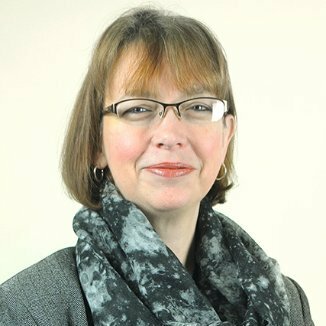 With over 20 years in higher education and non-profits, she feels like she has seen it all in event planning, fundraising/development, social media, website design, and marketing. Residing in Pittsburgh, Pennsylvania, Carrie works for the Steel Valley Authority as their in-house communications writer/graphic designer/jack-of-all trades. She also does freelance-work creating publications, websites, and social media plans with small businesses and non-profits. 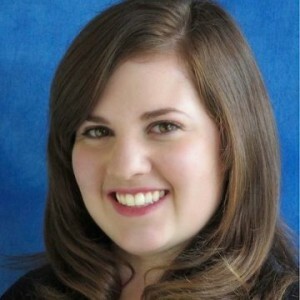 Connect with Carrie on Twitter and LinkedIn. Many of us approach looking for new opportunities as a necessity of job searching. We find a job, start off enthusiastically, become disappointed when it’s not everything we thought it would be, continue doing the job until we can’t anymore, and then desperately search for a new job. We repeat this vicious, frustrating cycle either because we only look for a new opportunity when we’re desperate for one, we don’t take the time to think about what we need or want in a career, or we don’t feel that turning down a job is an option. This is absolutely the wrong way to approach finding a fulfilling career. 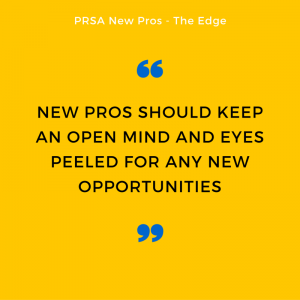 Instead of pursuing opportunities only when we think we desperately need them, new pros should keep an open mind and eyes peeled for any new opportunities, no matter how satisfying their current position may be. Actively looking around for what else is out there can help new pros decide what they want and don’t want in a career. Maybe there’s a great opportunity for a position with a well-known company that sounds like a dream available. If you ignore it just because you’re pretty happy with the job you have, you could be left wondering for the rest of your career if it was the one that got away. If you seek out an informational interview, you could find that it’s an opportunity you can’t pass up, that it’s not right for you—but is a great company—or that it’s just not a good fit at all. Early on in your career, learning more about a company or type of position is a great way to figure out what exactly you’re interested in and what you might like to explore more in-depth. Keeping your options open also keeps you in control of your career. If you’re keeping an eye out for what else you could be doing, you can be the one to decide how long you’ll stay at a particular job—as long as your ‘looking’ is not negatively affecting performance in your current position. If you can juggle the job search while keeping up daily responsibilities, you can then decide if you want to keep learning and growing where you are or if you want to take a chance on another opportunity to grow your career. Being in the driver’s seat of your career is always a good place to be! New opportunities often mean meeting new people, too. As you’re looking around at what else is available, you’re bound to make new connections with people you may not have met otherwise. Use informational meetings and events through professional organizations as a way to not only learn about new opportunities but to also build your network and strengthen your relationships. Actively reaching out to your network, new and old, will keep you the the front of their minds for any opportunities that might come end up in their emails. While you’re at the top of new connections’ minds, you should also be keeping your skills fresh. Look at what skills open positions are looking for and make sure that you’re keeping up with the latest trends and skills. Making sure that you’ve brushed up on the skills employers are looking for can go a long way in helping you land the perfect position. What else can you do to stay open to opportunities and land your dream job? Write a call-to-action into your LinkedIn summary. It can be as simple as a quick line saying that you welcome emails regarding new opportunities. Keep it short and sweet and let people know the best way to contact you. Make a list of your dream employers & contact them. Find connections at these companies and ask for an informational interview to learn more about the company, its culture and any relevant opportunities. Even if there’s not an opening at that time, meeting with and keeping in touch with a contact or two inside will keep you at the top of their list when positions do open. Set up informational interviews & meetings when possible. If there are companies you know you’d like to work for, people you admire or colleagues whose advice you value, reach out to them. Set up informational interviews with the first two to learn more about what they do and what opportunities might be available. For those whose advice you trust, an informal meeting over coffee, drinks or brunch is a great chance to catch up and talk in a relaxed setting. Let people know when & what you’re looking for. Even if you’re not actively looking for a new job, letting people know that you are open to new opportunities gives you new sets of eyes and ears to be on the lookout. Share your resume with those you trust and ask that they share information of new openings with you. If you are looking for a new job, let as many people as you can know, while not jeopardizing your current position. Spread the word privately to close connections, rather than publicly where your current employer may see. Sometimes it can be fun to see what else is out there and what better way than checking job posting sites. If you want to make it even easier, sign up for weekly or monthly emails from PRSA Jobcenter, Indeed or any other job boards with specific keywords relating to what you’re looking for and where. Ro byn Rudish-Laning is a member of PRSA SC and communications coordinator for the South Carolina Council on Competitiveness. Robyn is also a member of the New Professionals executive committee. 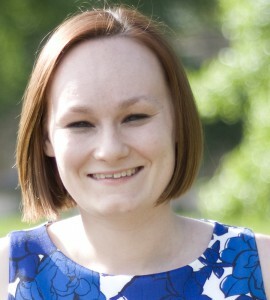 She is a graduate of Duquesne University and is currently located in Columbia, SC. 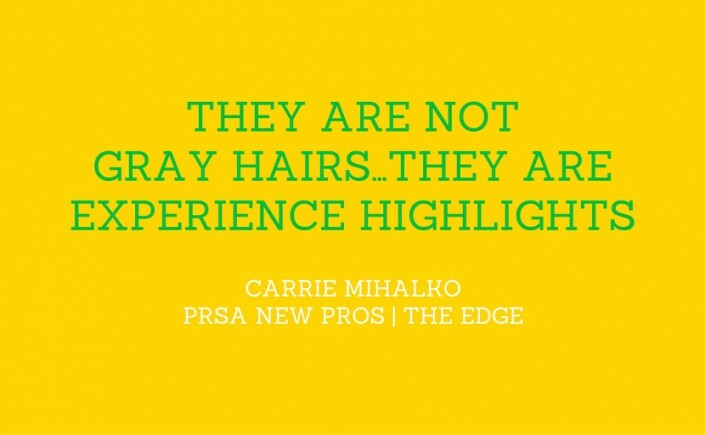 Find her on LinkedIn or Twitter or read her PR-focused blog.